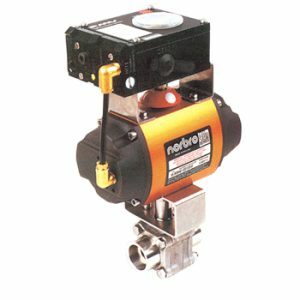 Worcester, Atomac and Valtek range of products offer a wide range of ball type control valves. Easily maintained these valves are available in a wide range of materials with metal to metal seats for high temperatures and soft seats for tight shut off applications. A range of fully lined ball control valves from Atomac provide a cost effective solution when handling extremely corrosive media.